Brotzu Lotion 120 Day Study Results | Will It Regrow Your Hair? A new hair loss treatment may be just around the corner, though there’s much that’s still unknown about the product – brotzu lotion – and its effects on hair regrowth. When the product will be available, and where it will likely be sold first. Finally, I’ll introduce you to the all-natural alternative techniques I’ve personally used to reverse my hair loss and regrow a full, healthy hairline. Brotzu lotion is a proprietary hair loss lotion developed by Italian physician Dr. Giovanni Brotzu. It was originally created for use in diabetic patients, but was soon discovered to have positive effects on hair growth. With this discovery, the formula caught the eye of Italian pharmaceutical company Fidia Farmaceutici and has been undergoing research trials ever since. But how does it activate PGE1? With the help of chemical precursor, Dihomo-Gamma-Linolenic Acid (DGLA). 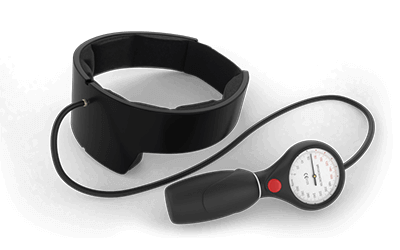 With PGE1 levels increased, the patients will theoretically experience a reduction in inflammation and an increase in blood circulation. The majority of hair loss products focus on PGE2 and PGD2, both of which are suspected to play a role in hair growth. However, it appears PGE1 and PGE2 share some functions which means both can be targeted with similar results. If activating PGE1 is the goal, why not just use a formula that contains the component? As Dr. Brotzu explained, the use of PGE1 requires extensive trials and permissions. DGLA, however, can promote PGE1’s activation, and it doesn’t require the same levels of testing to use. What Kinds of Hair Loss Can It Treat? While trials are still underway, it’s hard to tell exactly what kinds of hair loss can be treated with brotzu lotion (and, if it’s even effective). However, as PGE1 is both a vasodilator and anti-inflammatory compound, it may be used in treating Androgenetic Alopecia (AGA) and Alopecia Areata (AA). AGA is caused by a sensitivity to the androgen hormone DHT. This androgen is produced when testosterone interacts with 5-Alpha-Reductase (5AR) (an enzyme). For those with AGA, the DHT attaches to the sensitive hair follicles and causes inflammation and follicle miniaturization. Eventually this leads to thinning and balding, which cannot be reversed if left untreated. AA is believed to be an autoimmune disorder, where the body’s immune system attacks the hair follicles (as it believes they’re foreign invaders). AA also leads to inflammation, which eventually leads to balding. As inflammation is the common denominator for both AGA and AA, it appears brotzu lotion may be effective in treating inflammation (no matter the cause) and reversing hair loss. According to Dr. Brotzu, his proprietary lotion contains three key ingredients. They each play an important role in reversing hair loss. As mentioned above, DGLA is an uncommon fatty acid which is only found in animal products. It acts as the anti-inflammatory within Dr. Brotzu’s lotion, as it promotes the activation of PGE1 (a known anti-inflammatory). One major biological effect of DGLA is its ability to block the transformation of arachidonic acid to leukotrienes. While leukotrienes play a role in immune response mediation, overproduction can lead to inflammatory responses (such as seen in asthma and allergic rhinitis). In theory, then, DGLA should help to reduce the body’s inflammatory responses (particularly on the scalp). S-equol is an anti-DHT agent, which is commonly metabolized by human intestinal bacteria. Though, only 30% to 50% of humans have the intestinal bacteria required to product equol. This component works by binding directly to DHT, neutralizing the molecule and preventing it from wreaking havoc on the scalp of AGA patients. In addition to its use an anti-DHT agent, s-equol is currently under study as a treatment for menopausal symptoms. An amino acid involved in fat metabolism in mammals, l-carnitine is used within brotzu lotion as a metabolic enhancer. It’s common knowledge that metabolism plays a role in weight loss and insulin resistance. However, recent research has also linked it to hair loss. In short, men with premature AGA (below 30 years of age) have been shown to have reduced insulin sensitivity. This is a sign of metabolic syndrome, and it can cause hair loss among other unpleasant side effects (such as sexual dysfunction). While brotzu lotion is still undergoing clinical trials, the results of limited research studies have been released. This experimental study – published in 2014 as part of the product’s patent application – consisted of men and women with “massive hair reduction due to various causes”. It also included a small number of women of postmenopausal age, who were reporting hair thinning, hair loss, and loss of hair strength. Lotion D – Containing 1.25 mg of DGLA enclosed in liposomes as the only active substance, prepared according to method A. Group 5 – 4 (2 male, 2 female) patients treated for 120 days with Lotion D (1 mL/day). As you can see, the number of individuals included in the study is small. However, this is normal for the earliest stages of testing, and hopefully larger-scale studies will be performed. 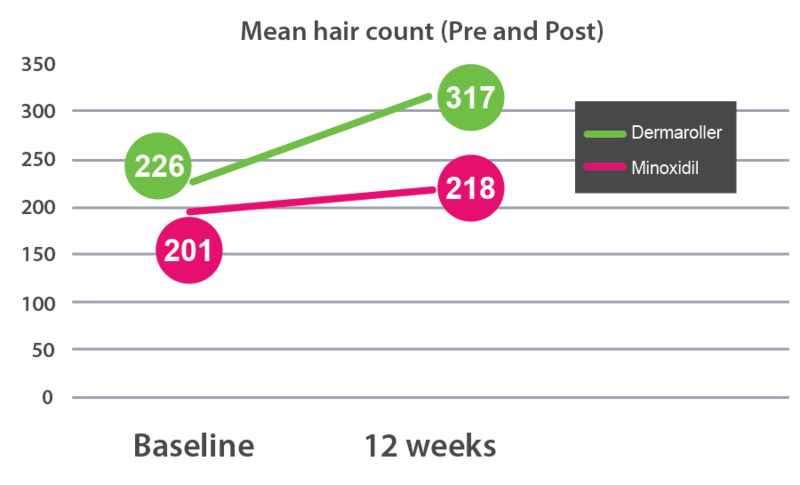 On day 7, patients in both groups 1 and 2 experienced a reduction in hair loss. It was defined as “substantial” by group 1 patients, and “modest” by group 2 patients. The patients in group 2 feels their hair is more “robust”, while groups 4 and 5 did not report any changes. On day 20, all patients in group 1 stopped losing hair and reported the presence of substantial fuzz. In group 2, hair loss has stopped in 6 (out of 10) patients, and while fuzz is present is is more modest. Group 3 reported an improvement in “hair brightness”, and group 4 reported a minimal reduction in hair loss. Group 5 still has not reported any changes. On day 45, the patients in group 1 report stronger fuzz which has taken the color and consistency of natural hair. At this point, all patients in group 2 have stopped losing hair, but only some see regrowth (and it’s weak). Group 3 reported the disappearance of split ends, while group 4 reported hais loss has stopped in all subjects and some are even experiencing the growth of weak fuzz. Group 5 still has not reported any changes. On day 90, all group 1 patients have experienced the regrowth of robust and shiny hair. In group 2, spots of hair loss are still visible, but they’re covered with a weak, light fuzz. Group 3 reported a general improvement in hair, while groups 4 and 5 did not report any changes from day 45. On day 120, group 1 patients confirmed that their results have continued from day 90. Group 2 continues to see improvement, but some male patients still have minimal/weak fuzz. Group 3 similar reported that their results have continued from day 90, while groups 4 and 5 have still not reported any changes from day 45. Using dermoscopy, researchers reported an improvement in scalp circulation in the patients who saw positive improvements and regrowth. There were also no signs of allergic or inflammatory reactions. It strengthens and fortifies hair, bringing it back to its original (i.e. pre-loss) state. This is promising news, and it does suggest that brotzu lotion will be a great option for many hair loss sufferers. 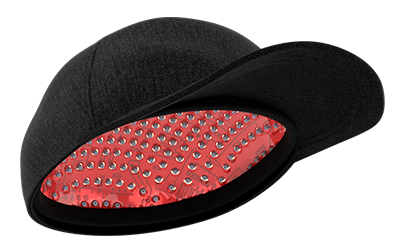 This is likely due to its anti-inflammatory and DHT-blocking components. While there’s still much that’s unknown about the product, there do seem to be a few pros and cons that have been made apparent through Dr. Brotzu’s statements and Fidia Farmaceutici’s communications. Perhaps the greatest pro of brotzu lotion is that it will be available over-the-counter, similar to minoxidil and unlike finasteride (which requires a prescription). This means it’ll be widely accessible to the hair loss community, and an expensive specialist appointment will not be needed to obtain the treatment. As a lotion, it’s also quite likely that the product is easy to apply. This will ensure that consumers are able to use it consistently, as it doesn’t require a drawn-out process in order to properly use. Finally, there’s no reason the lotion cannot be used on a variety of different hair types. Of course, it’s still too soon to tell if this is truly the case. While Fidia Farmaceutici has been performing research on the product, there’s still very little in the way of solid evidence to prove it works. The research that’s currently underway is still lacking in quite a few areas, including adverse effects and long-term considerations. This product is also only available in lotion form. This may change in the future (perhaps the company will offer a spray or foam), but for now this can be off-putting to many hair loss sufferers. As of yet, no side effects have been mentioned in regards to brotzu lotion usage. However, it’s not unusual to expect for side effects to occur. The extent of these effects will depend on how much of the lotion is absorbed into the bloodstream. And, while no allergic or inflammatory responses have been currently noted, that doesn’t mean that sensitive individuals won’t experience itching, hives, redness, inflammation, or itching from use. If you suffer from other scalp conditions in addition to hair loss, you may also be unable to use the lotion safely. These include scalp psoriasis, seborrheic dermatitis, and dandruff. You may need to get these conditions under control before the lotion can be used effectively and without ill effects. As topical hair loss products, it’s hard not to compare brotzu lotion and minoxidil to one another. But how do they really compare? In short, brotzu lotion claims to stop hair loss through the activation of PGE1. This compound acts as a vasodilator and anti-inflammatory, which are helpful in reversing and preventing follicle miniaturization. Minoxidil works quite similarly, though the exact pathway is not known. However, it does increase blood flow to the area which is crucial for hair growth. So, is it possible that these two treatments can be used together? While that may be a possibility, there’s one thing to consider and that’s side effects. More particularly, low blood pressure. As both formulas dilate the blood vessels, this can lead to low blood pressure. When you combine the treatment methods, this could cause dangerously low levels. There’s also both topicals, which would make it difficult to keep a schedule around both of their uses. Brotzu Lotion vs Finasteride: A Possible Combination? 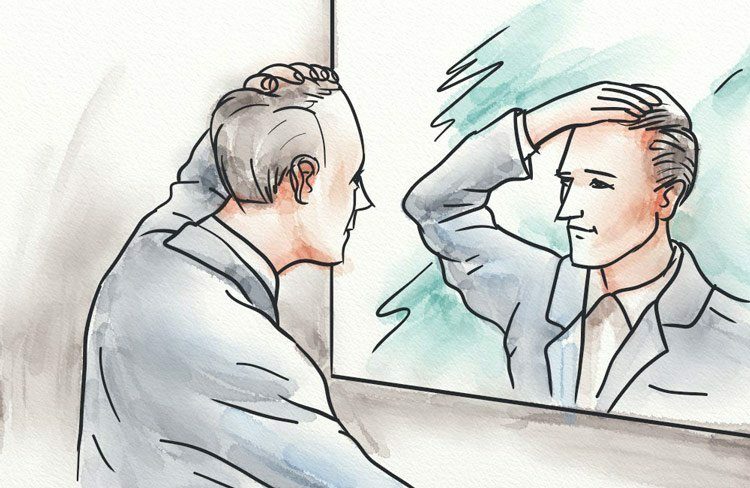 While the use of both brotzu and minoxidil isn’t likely, that’s not to say that finasteride wouldn’t be a good pairing for the hair loss lotion. Unlike brotzu, finasteride works by directly inhibiting 5AR. This leads to less production of DHT, which is beneficial to the scalp of AGA patients. As these products work in different ways, then, their combination could actually help to improve hair growth results. After all, you’d be going at the problem in two ways. One thing to keep in mind is many hair loss sufferers avoid finasteride. Why? It has numerous unpleasant side effects associated with it, including sexual dysfunction. As such, many people with hair loss may actually see brotzu lotion as an alternative to finasteride, and not a possible pairing. With clinical trials still underway, it’s impossible to give an exact date. As of October 2017, Fidia Farmaceutici claimed that 2018 could very well be the year for release. However, there’s no telling exactly where it’ll be available, especially as the pharmaceutical company is located in Italy. I would say that, most likely, brotzu lotion will first be introduced to the European market. It may require further testing before it’s offered in North and South Americas, though only time will tell. Is Brotzu Lotion a Good Option for Everyone? As with any hair loss treatment on the market, only you can decide whether it’s the right choice for you. However, you should consider a few things before moving forward with your decision. Foremost, do you want to treat the underlying cause of your hair loss, or just cover up the symptoms? With treatments such as finasteride and brotzu, it’s likely that the actual cause of hair loss will only be temporarily resolved. You should also consider whether you’re willing to handle the side effects associated with product use, and where you’ll draw the line in terms of complications. Once again, no adverse effects have been noted as of yet, but this doesn’t mean brotzu lotion use is without its symptoms. Finally, can you live with committing to a lifelong treatment, especially one that may cause unpleasant side effects? This is what you’ll need to do with treatments such as minoxidil, finasteride, and even brotzu lotion, as they don’t treat the true reason for your loss. Whether you’re impatient for the release of brotzu lotion, or you’d simply like to explore more natural treatment options, here are a few alternatives for you to consider. I’ve used all of these myself with great success. I highly recommend you give them a try before throwing in the towel and using more popular products, such as minoxidil and finasteride. If you’re looking for an option that’s similar to finasteride, then natural 5AR inhibitors may be the answer. There are a variety of herbs and oils that have been scientifically proven to inhibit the activities of 5AR, which reduces the levels of DHT present within the body. You can consume these on a regular basis, or even create topical solutions to apply directly to the scalp. Though, while these are a great place to start for many people, they’re not the best way to inhibit 5AR naturally. As mentioned previously, 5AR plays a crucial role in the development of DHT (and, therefore, hair loss). When combined with testosterone, it produces DHT which is then able to attach to the androgen receptors at the hair follicles. If left to do its own thing, 5AR will continually produce DHT. Over time, this can lead to follicle miniaturization and balding in people with AGA. So, how can you naturally inhibit 5AR without the ingredients mentioned above? Through an alkaline diet! The Standard American Diet (SAD) is full of carbs, red meat, and ‘bad’ fats. When consumed regularly, this causes an acidic environment within the bloodstream. You see, the foods you eat are either acidic of alkaline. The more acidic foods you eat, the higher your blood stream’s acidity levels. As 5AR functions best in acidity, this enables 5AR to function at its best and produce high levels of DHT. You can add these foods to your diet individually or, even easier, in smoothies and fresh juices. If you’d like to target hair loss more directly, you can work on blocking DHT within your body. This is different than 5AR inhibitors, as DHT will still be produced, but you’ll block it before it interact with your hair follicles. You can block DHT internally (similar to finasteride) or topically. While both can work to reduce hair loss, the topical route can produce similar results with less side effects. Even better, you can use these ingredients to create your own concoctions. This means you can individualize the ingredients to best fit your needs. Now, before you get started, you’ll need to prepare your scalp. This will ensure your mixtures are absorbed fully, and there’s no buildup or clogging of the hair follicles and pores. The best way to prepare your scalp is with a slightly abrasive scalp scrub. You can use it to remove years of buildup (including chemicals, pollution, hair products, dead skin, and sebum), and improve the overall health of your scalp. The abrasive nature of the scrub can even increase blood circulation which is essential for healthy follicles. Using a juicer, juice the ginger and cucumber (in that order). If using a blender or nutribullet, blend the ginger and cucumber together, and then pour the mixture through muslin cloth or a strainer. Add the juice of one whole lemon to 100 mL of the ginger and cucumber juice, and then add ½ tablespoon of himalayan or celtic salt and 1 teaspoon of powdered activated charcoal. Combine the mixture well. Before each use, be sure to mix thoroughly. To use, add some of the mixture to your scalp and massage in with your fingertips. Massage in gentle, circular motions throughout the scalp, and then let it sit for 5 – 10 minutes. Finally, rinse your scalp with warm water. You may need to remove excess areas of peel with your fingertips or (gently) with a hair brush. You may need to repeat this process two or three times. Though, you should wait at least one week between each session. With your scalp now cleansed, you can use some of the above topical DHT blockers on your scalp. One of my personal favorite is a combination of magnesium oil, rosemary essential oil, and peppermint essential oil. You can combine these ingredients in a 90:4:6 ratio, respectively, or purchase a premade concoction such as the Grogenix Scalp Elixir. As DHT attaches to the hair follicles and causes inflammation and, eventually, follicle miniaturization, another more worrisome side effect occurs: restriction of blood flow. This occurs as the follicle becomes smaller, and soon the hair bulb detaches from the blood vessels. Blood circulation is crucial to scalp and hair health, as it delivers oxygen and nutrients. It also removes buildup from the follicles, including DHT. Two of the easiest ways to increase circulation to the scalp is massage and exercises. These can be performed anywhere, anytime. Scalp massages can be done with your fingertips, or a scalp massager. It requires a firm, yet delicate touch so as to avoid dislodging hairs or further irritating the scalp. To perform a scalp massage with your fingertips, start by making a claw with each hand and placing on either side of the scalp (above the ears). Apply light pressure, and begin to work your fingers in a gentle, circular motion. Remain in this area for 1 – 2 minutes, and then slowly work your way towards the crown. You can backtrack to previous areas of the scalp for further effectiveness. Once at the crown, continue moving your fingertips in a circular motion. 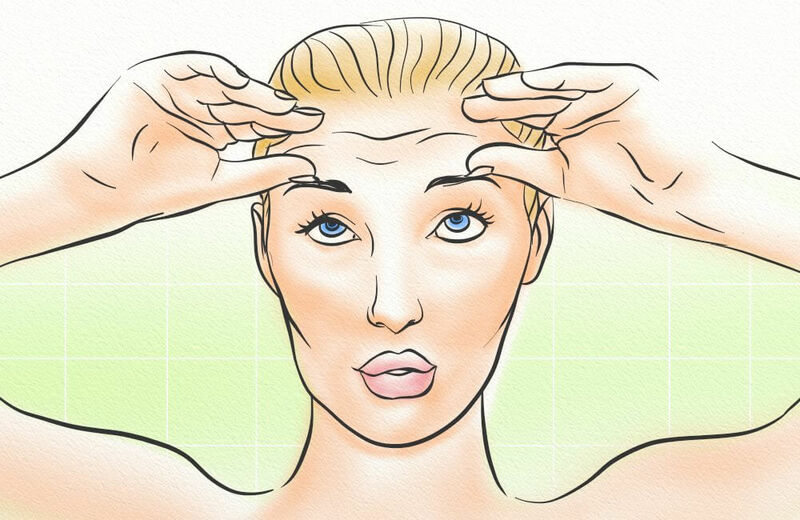 Then, slowly move towards the hairline and the temples, and continue for 1 – 2 minutes. Finally, work your way back towards the sides of the scalp and to the back. 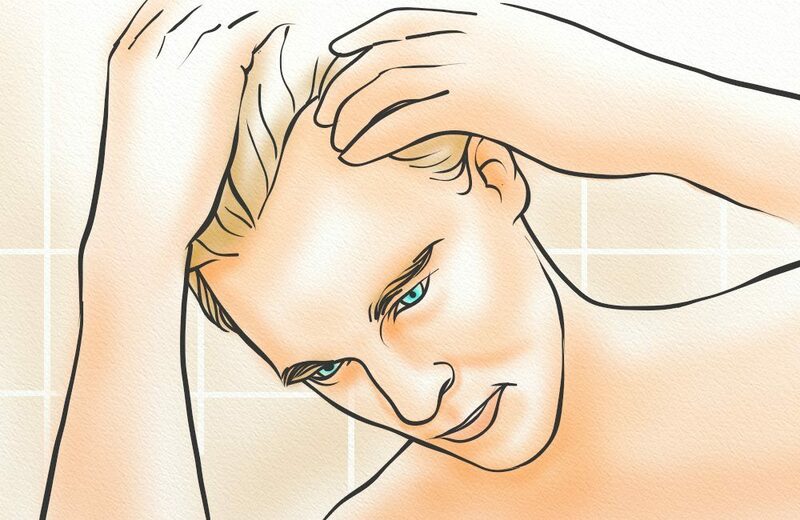 You can also slowly retrace your steps, and end where you began at the sides of the scalp. If you’d like to improve the effects of a scalp massage, you can also use oils (such as coconut, castor, or almond). These will moisturize and hydrate the scalp, while also strengthening the individual hair strands and follicles. The scalp massage should be performed for at least 10 minutes each day. Raise your eyebrows as high as possible, and hold for 1 – 2 minutes. Then return to resting position. Furrow your eyebrows as deep as possible, and hold for 1 – 2 minutes. Then return to resting position. Raise your eyebrows as high as possible, and hold for 1 – 2 minutes. Then, furrow your brows as deep as possible, and hold for 1 – 2 minutes. Finally, return to resting position. 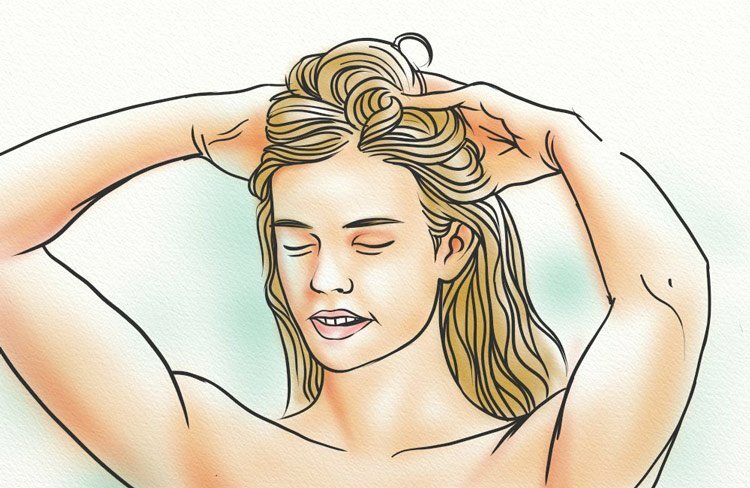 You can perform this technique throughout the day, or immediately following your scalp massage. You can also use your fingertips to facilitate a higher-intensity “workout”, such as by gently pulling and pushing the muscles as you manipulate them. If you’re looking to bring scalp stimulation to the next level, then dermarolling/dermastamping is the answer. Both of these methods are a form of microneedling, a technique where tiny needles are used to puncture the scalp. As the micro ‘wounds’ heal, they regenerate healthy skin and hair follicles. I’ve previously recommended the dermaroller, which is a spherical tool with dozens of tiny needles. However, through further research I’ve determined that the dermastamp is actually the superior microneedling tool. 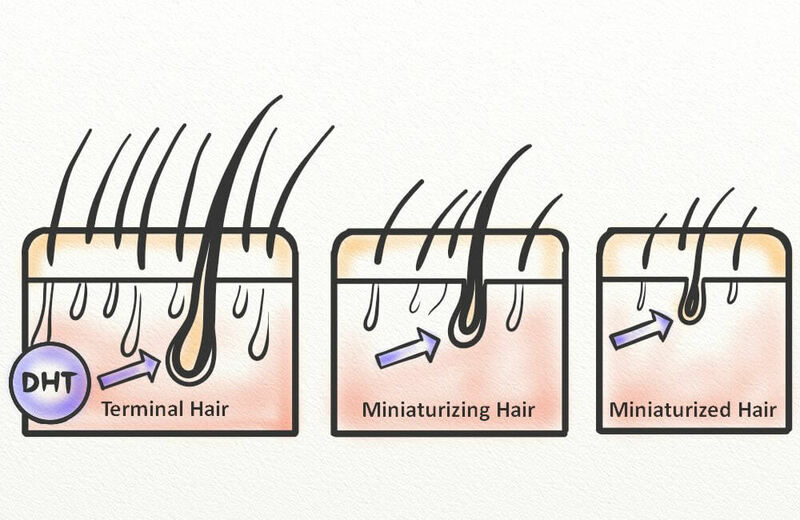 It’s easier to target areas of hair loss, and it’s also safer for surrounding hairs. You can use the peel mentioned above to cleanse the scalp, or wash with a chemical-free shampoo (if you’ve previously performed the peel). You can then complete your 10-minute microneedling session, and follow up with a dermaroller cream. You can learn more about the cream (including how to make it) here. With so much information to take in, it can be overwhelming to choose the ‘right’ method. However, the ‘right’ one is ultimately the one you’ll use consistently. While I’ve personally used (and seen results) with the help of 5AR inhibitors and DHT blockers, they only offer temporary relief. This is why I recommend you strongly consider the scalp circulation methods mentioned above. With improved circulation to the scalp, you make it possible for your hair follicles to thrive in the presence of DHT. How is this possible? With strong circulation, your follicles will still receive the nutrients and oxygen they require. And, many of the techniques above (such as microneedling) can even reduce inflammation. Is brotzu lotion the hair loss ‘miracle cure’ that many hair loss sufferers want it to be? It’s still too soon to tell, though the answer is likely no. This is because there’s no easy way to reverse hair loss, no matter its cause, but instead you must pinpoint the cause and treat it accordingly. This is why I suggest you never put your faith in new and popular products on the market. While they may provide temporary results, the truth is they mask the problem. This means that the damaging effects of inflammation can still be allowed to continue, even if you think your treatment is working. You should instead take a natural, more logical approach to hair regrowth. These will help you to target your hair loss at the source, and find the actual solution to your problem. Hi Will. I’m 19 and recently I’ve been losing a lot of hair. Strands to clumps and I’ve been so sad. I won’t deny I’ve been stressed out and I haven’t had proper nutrition (I’m usually a healthy eater). I don’t know what to do. I got my blood work done and I’m waiting on the results, but I get so scared to wash my hair because it all comes out and I’m scared. I don’t want to become bald. I cut my hair short a year ago and since then I’ve been trying to grow it long and thick. It’s a good place to start for regrowing hair.